Learn to count in Swahili while discovering African animals on an exciting safari through the grasslands of Tanzania. Facts about Tanzania, Swahili counting, the Maasai people and a map are included at the end. A portion of the proceeds from the sale of each book will be donated to the African Wildlife Foundation, to aid in their wildlife conservation and community building efforts in Tanzania. 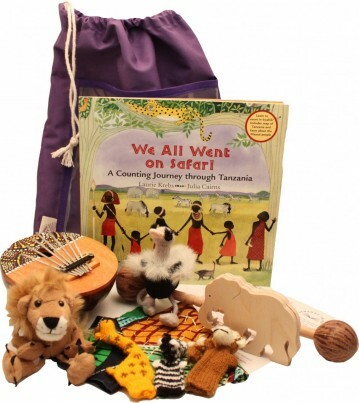 Packed with a range of sensory-rich animals and artefacts, musical instruments and countless activity ideas, this gorgeous set is perfect for use in the home and settings to bring storytelling and the EYFS to life.